Time and time again I hear about people breaking truces and complaints about relationships being broken down. It’s a never-ending cycle for those who get caught up in the jam. We all know it’s no good to form close bonds only to have them break apart. The hard part for everyone is always to keep together with trust, so strong relationships last, but trust isn’t always easy to find. You always have to wonder, how does one keep the strength that comes in the beginning with your first steps? I find people always like to be judgmental and everyone has their own opinions about everything. It seems like everyone just wants to be right about whatever they know, but the greatest thing that someone can learn is how much they actually don’t know. At times it seems like coming to an agreement with the opposition can be a tug-of-war. As the artist Slug states in his song Say Hey There, “It’s a tug-of-war for who loves you more.” Life is full of partnerships and relations no matter the environment. Some partnerships are more casual while some are more serious, but the most important thing is how you treat others around you. Nothing is more important than trust. In order to trust others, you have to trust in yourself. In order to love others, you have to learn how to love yourself. In order to grow and develop what’s already present, you have to look at your course of reliability. Everyone always needs someone to trust, so that they can reliably set goals and accomplish tasks. Although such ideas seem simple, it seems that simple is hard to come by these days. Everything is made so sophisticated nowadays, that it keeps the mind in a constant swirl. In a world full of crooks and robbers looking to get away with as much as possible, there also happens to be some very special people. The world has always had some special people. I believe the world has also always had people who want to cause change and conquer ego-driven selfish desires. It’s almost like it’s something pre-wired into our DNA. In order to change the course of people’s lives and truly make a difference look upon relationships. Every human has relationships in their lives and duties to fulfill whether things relate or not. We all face consequences and we all face struggles. With every plate there’s a new load waiting to be fulfilled. If the people of the world visioned a world with no boundaries, what would they see? Would we see global peace or globalization of ideas, jobs, and technology? Despite all the washed-down opinions and formal ways of thinking, the confidence of experience helps sow trust. If you can wake up with a smile each day and be grateful for the people and work they put forth, this builds reliability. If you were to ask anybody what they wanted, I assure you that they would likely say that they want trust and reliability. No matter what you’ve seen, or who you’ve seen, we all want the same things. We all want to face challenges, defeat them, and then move on. As Chris Guillebeau says in How To Live A Remarkable Life In A Conventional World, “There are people who will stop at nothing to stand in your way, as well as other obstacles you need to be aware of from the start. The opposition that you face will come in many different forms, but the most common are gatekeepers, critics, and the widespread acceptance of mediocrity.” Forget the walls that are built around you and build relationships that last. 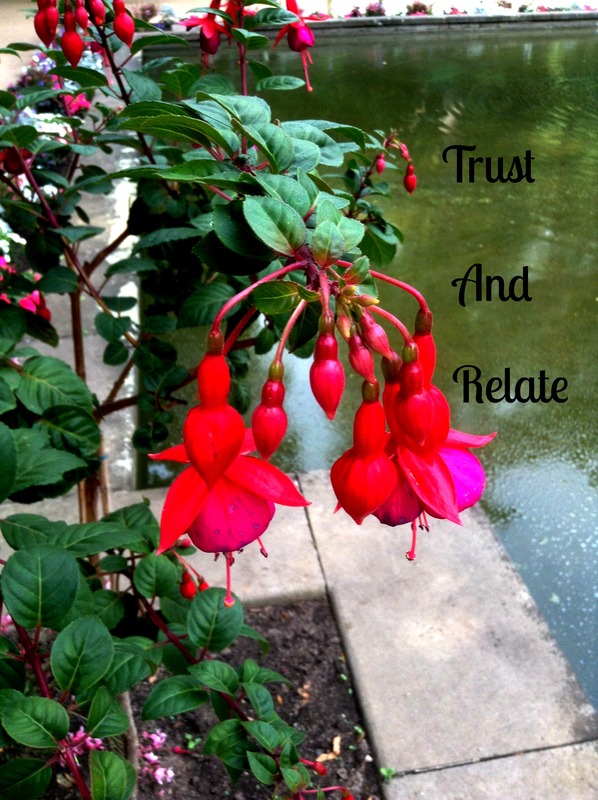 Use the central idea of trust and reliability. Count your relationships and ask yourself how many of them have true-meaning? The more you look at the people in your life, the more you can quickly see that money doesn’t buy friends, but the experiences you have with meaningful people is what truly matters. All we can do is just keep on keepin’ on, but one day or another disappointments will end up in triumph’s and victory.